Last year, “The Cosby Show” celebrated the 25th anniversary of the beloved Huxtable family. 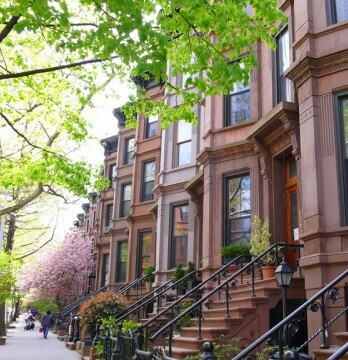 In celebration of this milestone anniversary, Vandenberg – The Townhouse Experts TM, would like to take a look at one of the most well-known brownstones in television history. Seen in multiple episodes, many memorable scenes happened right on the steps leading up to the front door of this famous townhouse. Led by Bill Cosby, “The Cosby Show” focused on the Huxtable family, an upper-middle class African-American family living in a brownstone in Brooklyn Heights, New York, at 10 Stigwood Avenue. Due to his dislike of filming in Hollywood, Cosby insisted that the show be taped in New York City instead of Los Angelas, where most television shows were taped at the time. The earliest episodes of the series were taped at NBC’s Studio One facility in Brooklyn. The network later sold that building, and production moved to the Kaufman Astoria Studios in Queens. Where is the Cosby House in NYC? 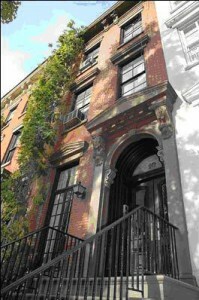 Here is a fun fact: even though the show was set to take place in Brooklyn, the exterior façade was actually of a brownstone townhouse located in Manhattan’s Greenwich Village at 10 Leroy Street/ 10 St. Luke’s Place. In reality the home was not a single family home, rather it was a private residence that was divided into an owner’s duplex and four tiny one-bedroom apartments. 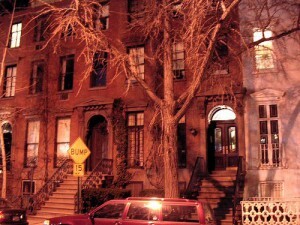 The Huxtable brownstone is situated in a stretch of 15 identical townhouses that were built in the 19th century. The builder is unknown, but he created a top-notch cookie cutter, aesthetically speaking, using the Renaissance and Greek Revival styles popular with the upper crust at the time. 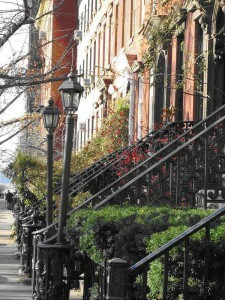 These townhouses are what defines St. Luke’s Place and Leroy Street between Seventh Ave. South and Hudson Street. The confusion in the street name comes from back when it wasn’t uncommon to rename a portion of a block to boost its supposed prestige. Trinity Church, which owned all the land here, renamed this block before selling it all off starting in 1851. The 15 residences along St. Luke’s Place are numbered sequentially. And who knew that the Huxtable family was neighbors with Monica, Joey and Ross? The building used as the apartment building for Friends is just around the corner at the corner of Bedford and Grove. Leroy Street is often used for filming, because the other side of the street has no buildings to obstruct light. Besides The Cosby Show, the street has been used in Autumn in New York, Law & Order, The Job, Wait Until Dark. Would you like to live in a Brownstone like the one featured on The Cosby Show? 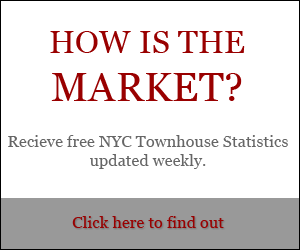 Vandenberg—The Townhouse Experts TM have many townhouses for sale in New York City. 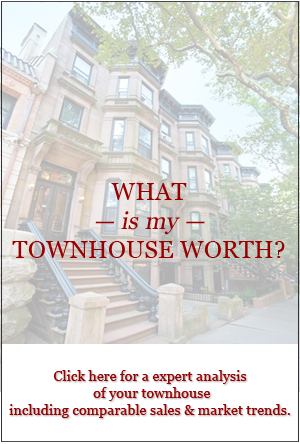 Check out our Townhouses that are available in our Townhouses for sale gallery. Contact Vandenberg with any questions.